It’s the last war America will ever fight, and the enemy is us. The economy is shifting too slow to keep pace with the world, and jobs are flooding offshore. Inflation is roaring down Main Street, stealing savings and destroying credit. Half the country believes the other half is drunk on propaganda. Everybody thinks everyone on the other side is a liar. Neighbors fear neighbors. Families turn on their own. Whispers of war are in the news, on every computer screen, and on every smartphone because the future of everything is at stake. A new breed of Political Action Committee is forming, and people are starting to disappear with nothing but a warning left behind. Learn more about The Liar’s backstory here. 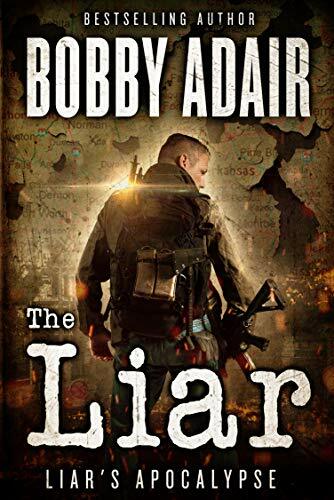 Check out this new trilogy from Bobby! Available on Kindle, Kindle Unlimited, and soon, Audible! Dusty’s Diary Audiobook by Podium! This summer, Dusty’s Diary Books 1-3 was released by the wonderful folks at Podium, narrated by Ray Porter. Available on Kindle, Kindle Unlimited, and Audible. 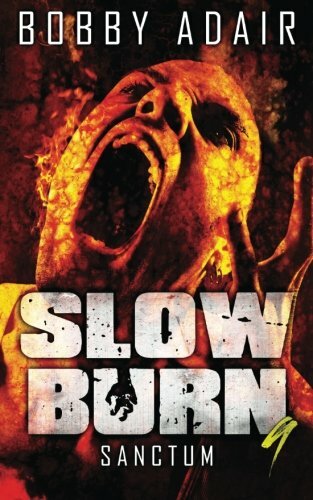 SLOW BURN Series is now complete! SLOW BURN: SANCTUM, Book 9, was released in March 2017, and readers are giving it rave reviews. Print books and Kindle are both available from Amazon...and Slow Burn 9 is now available through Kindle Unlimited! Did you realize that the Zed & Murphy's car in Slow Burn 7... that super fast, super quiet electric 1968 Mustang is REAL? Check out Mitch Medford and Blood Shed Motors' "Zombie 222!" Mitch is a real guy with a dream and a really fast car here in Austin, and his story is fascinating!